Do you think that your retirement money can outlive you? Surprisingly, this question is causing a lot of people some great deal of retirement stress. The ideal scenario is for your funds to outlive you. That way, you can be assured that you have more than enough money to spend until the very end. Running out of funds just when you need it the most – especially for health reasons, can be a real nightmare. Your options will be to rely helplessly on your loved ones, be in debt, or suffer in silence. You do not deserve any of these options especially when you have worked very hard in your youth to live a high quality lifestyle. Although we have seen a lot of improvements after the Great Recession, an article published on USNews.com believes that the retirement crisis is still upon us. The article revealed data from a recent government study that showed how a little over half of the workforce is involved in a retirement plan. 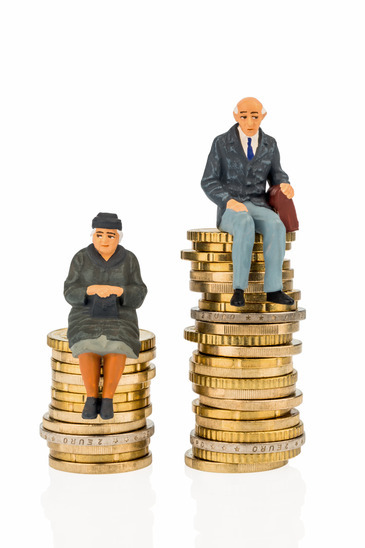 The US Bureau of Labor Statistics also revealed that of those working in the private industry, only 48% is putting aside money for their retirement. Given these statistics, you can see that a lot of us may be forced to make do with insufficient retirement money. If you are still young, you still have the time to correct your mistake by creating a retirement plan and making bigger contributions toward your account. But what if you are in your pre-retirement years or already about to retire? How can you ensure that your retirement fund will last longer than you? For some of you, this might be going to the extreme. Moving to a new country may be intimidating but it can help you stretch the limited funds that you have in retirement. Think about it for a minute. In a recent article, InternationalLiving.com released a list of the top retirement destinations in 2015. Each year, this site ranks countries from around the world that provides retirees with the best life possible. This year, the top country that you can live in is Ecuador. Now how can living in Ecuador help you stretch your retirement money? Here are some interesting facts about this country. Low cost of living. Can you believe that you can live comfortably in this country for less than $1,000 a month? Even if you live in the big cities like Guayaquil, Quito or Cuenca, it is possible to build a high standard of living for $1,500 to $2,000 a month. That is a far cry from living in places like New York where the rental price of a 2 bedroom apartment can cost your more than $3,000 a month. The budget of $2,000 or less in Ecuador is already inclusive of your home, utilities, food, clothing, entertainment expenses and even transportation. High quality and low cost health care. We are always complaining about the high cost of healthcare in the country. When you retire, you can expect that most of your retirement money will go to your health care needs. This is where Ecuador will sound much more appealing to you. Their medical professionals and facilities can rival even those from developed countries and they will not cost as much. In fact, the prices are only around 20% to 40% of what it will cost you to get medical care in the US. The same is true for dental care. Low real estate prices. Living in your own home is a real treat for retirees. Regardless if you are in the US or in Ecuador, it will always be a growing asset. While the prices have gone up in recent years, the price of real estate in Ecuador is still relatively low. You can get a beachfront property for $150,000. An apartment in one of the big cities in the country will only cost you less than $200,000. This country will allow you to invest in real estate without depleting much of your retirement money. These are the main financial reasons why retiring abroad will benefit you when it comes to your retirement funds. However, if you think that moving to a new country is an extreme that you cannot do, then simply relocating to a city that costs less than your current may do the trick. Just like the video below about a retired couple. They used to live in New York but they decided to live in Florida to cut back on costs. Here is the full video. The next thing that you can do to help you outlive your retirement money is to cut spending. How can you do that? By being meticulous about where your money is going. The thing about being retired is you have a lot of time in your hands. If you worked 40 hours a week, what do you think you will do with the free time once you are retired? Surely monitoring your finances will not take up that much time so you might as well start being more concerned about where your money is going. There are a couple of habits that may take up your time but will definitely help you lower your spending. Be cautious of points. Whether it is credit card points, rewards programs or airline miles, you need to pay attention to the points you are generating from your usual spending. For sure, there will come a time for you to get something for free without necessarily increasing your spending. You can even add more means for you to get points and freebies – as long as you are monitoring it well and you will really use whatever you are purchasing. Clip coupons. A great way to lower your spending is to use coupons whenever you buy something. These coupons usually come for free – you do not have to buy them. You can opt to browse online for coupons or you can buy the Sunday paper for the weekly collection of coupons. Just make sure that you will really use these coupons and the products they represent. Browse for promos and discounts. The last tip is to take the time to look for promos and discounts. Since you have all the time in your hands now that you are retired, you can spend an hour or two comparing prices before you purchase anything. It is ideal for you to create your grocery shopping list ahead of time so you have a reference for your research. Not only will you save on your retirement money, you can also save your time and energy in shopping because you can plan where you will buy the stuff that you need. The last tip that we can share with you is to engage in low cost activities. As mentioned, retirees have lot of time in their hands. Naturally, you will develop a couple of hobbies to pass the time. You may begin to engage in sports, a new skill, or even travelling. While it is your decision what to do with your time, make sure that it will be something that will not compromise your retirement funds. An article from Time.com, discussed how retired individuals will no longer spend as much as they need to when they retire. In most cases, their children would have moved out of their home. Not only that, you do not have to spend as much as you used to to commute everyday – since you have stopped working of course. You will also stop contributing to a lot of payments like Social Security and retirement. What will increase is probably your health care and entertainment expenses but even that will not bring you back to what you were spending before – at least if you follow these two tips. Opt to enjoy off-peak activities. Whether it is going to the beach, enjoying a particular sport or any other travel, you may want to enjoy these activities during the off peak season. That way, they will be cheaper to avail. Be aware of the time when the prices are low. For instance, if you want to watch a movie, opt to watch the matinee show so it is cheaper. The same is true for retail stores. Sometimes, early or late shoppers get the best deals. These are only some of the things that you can do to help stretch your retirement money. It all comes down to how you will manage your finances so you can use it properly.